Welcome to the web page of the Laboratory for Renewable Energy Systems (LARES) of University of Zagreb, Faculty of Electrical Engineering and Computing. We are glad to announce our partnership with Techne Summit, the international entrepreneurship technology conference that is being held in Dubrovnik this year May 3-4 bringing together renowned global players in the technology industry from different countries. Carrying the slogan of TECHNOLOGY – INNOVATION - TALENT on which the event concept is built, the two-day summit acts as a platform for these international global players to share experiences, wisdom, observations, predictions and opportunities. One of the speakers of this year’s summit is Anita Martinčević who will present the modular platform for the energy management on building and distribution grid developed by our laboratory and currently running on our Faculty skyscraper building. To know more about Techne Summit you can visit the website here. On January 30th, 2019 LARES researcher Hrvoje Novak successfully defended his doctoral dissertation and received a Doctor of Science degree in Electrical Engineering. 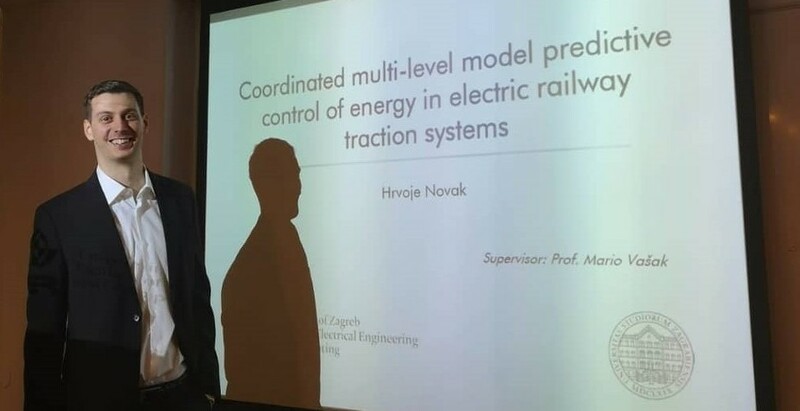 Hrvoje’s thesis was entitled "Coordinated multi-level model predictive control of energy in electric railway traction systems". Hrvoje is continuing his work within LARES, on conceptually similar projects 3Smart and PC-ATE Buildings. Our LARES research team published an article "Hierarchical Model Predictive Control for Coordinated Electric Railway Traction System Energy Management" - H. Novak, V. Lešić, M. Vašak, in IEEE Transactions on Intelligent Transportation Systems, a prestigious IEEE scientific journal. The paper is published within a Special Issue on Intelligent Rail Transportation, focussed on development and application of intelligent technologies for improvement of railway's autonomy, cooperation and integration. The paper presents a novel railway energy management system based on hierarchical coordination of electric traction substation energy flows and on-route trains energy consumption levels. The levels are coordinated through parametric hierarchical model predictive control with the main goal of additionally increasing the energy efficiency and decreasing the operational costs of the overall system. You can download the article preprint here or take a look at it on the Journal web. On today's assembly of the council of University of Zagreb Faculty of Electrical Engineering and Computing LARES has been installed officially as one of the research laboratories of the Faculty. As during the inofficial existence of LARES for the past 11 years, we will continue our devotion to quality research of smart controls in energy systems. 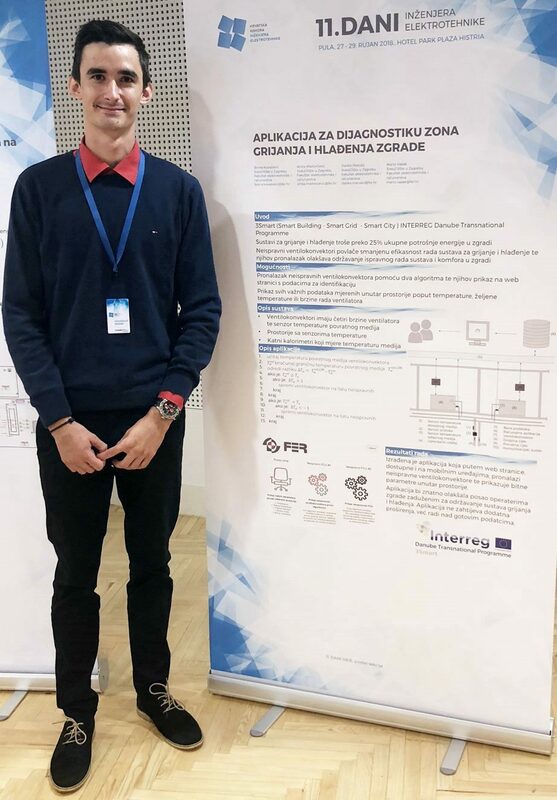 Our student Borna Kovačević presented his work titled ''Design of application for display of states and diagnostics for heating and cooling zones of a building’’ on 11th Electrical engineering days organized by Croatian chamber of electrical engineers. The conference took place in Pula, Croatia from 27th-29th September 2018. The purpose of the developed application is to assist the building operators responsible for the proper operation of the heating and cooling system by displaying defective fan coil devices on a simple web interface. The activity of our research group was presented on national TV scientific show "Prometej". By presenting activities and results of our research team in the areas of smart and sustainable buildings and transport, as crucial pieces for forming smart cities, it is shown that our laboratory keeps up with the leading research groups in the same areas. One of the largest steps forward is the 3Smart project coordinated by prof. Mario Vašak through which the entire Faculty’s skyscraper building (13 floors, over 200 rooms) is going to be transformed into a smart building with an ability to actively participate on the energy market. A recorded LARES tour of Energy Days at FER, led by our researcher Anita Martinčević, MSc, was aired during the TV show "RTL Direkt" as part of the feature story about the growing interest in STEM area among the pupils of Croatian high schools. Few photos can be found in the detailed news content. Energy Days at FER, as part of the Zargeb Energy Week, were celebrated in LARES on May 7, 2018. Through 4 laboratory tours, students and other interested participants had opportunity to witness the presentation of renewable energy systems, demonstrations of equipment and scientific trends of control in energy efficient buildings. An article about the event was published in weekly newspapers LIDER, published here. We thank the organizers for their initiative. On April 26th, 2018 LARES researcher Branimir Novoselnik successfully defended his doctoral dissertation and received a Doctor of Science degree in Electrical Engineering. Branimir’s thesis was entitled "Optimal coordinated and robust control of electrical power distribution system". From May 1st, 2018 Branimir will be on a 4 months visit to the System Control and Optimization Laboratory (Lehrstuhl Systemtheorie, Regelungstechnik und Optimierung) led by Prof. Dr. Moritz Diehl at the Department of Microsystems Engineering (IMTEK) of the University of Freiburg, Germany. Virtual tour of the LARES laboratory is now online. 360° pictures from the skyscraper roof and LARES equipment are accompanied with a live camera image from the wind turbine tunnel. Enjoy the view. Urban areas subject to cultural heritage protection regulations often have different bottlenecks in the infrastructure which can be hardly addressed by regular infrastructure reinforcement interventions. Thus smart and non-invasive integrated management of buildings and grids introduced through the project Smart Building – Smart Grid – Smart City (acronym: 3Smart) presents a significant potential for surpassing the infrastructure bottlenecks and improvement of energy performance in these areas while leaving them visually intact. 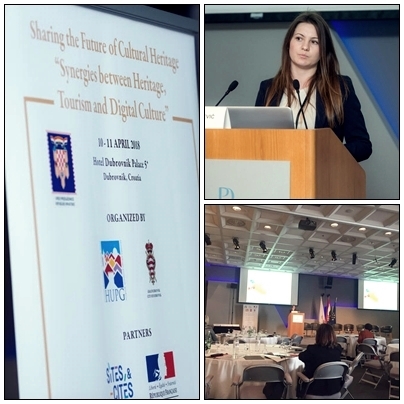 The potential of the project is recognized by the Croatian Association of Historical Cities – HUPG by giving us honour to present our work on an international conference “Sharing the Future of Cultural Heritage – Synergies between Heritage, Tourism and Digital Culture” on cultural heritage issues held in Dubrovnik from the 10th – 11th of April 2018. Our LARES research team published an article "A Battery Management System for Efficient Adherence to Energy Exchange Commands under Longevity Constraints" - M. Vašak, G. Kujundžić in IEEE Transactions on Industry Applications, a prestigious IEEE scientific journal focussed on advancement of theory and practice of electrical and electronic engineering and application of electrical systems. The article presents a new method for energy management of energy storages in microgrids that resides on model predictive control and ensures energy exchange between the storage and the rest of the microgrid is performed in exactly the commanded amount within the given time, all while taking into account the storage longevity constraints and ensuring maximum storage system efficiency. 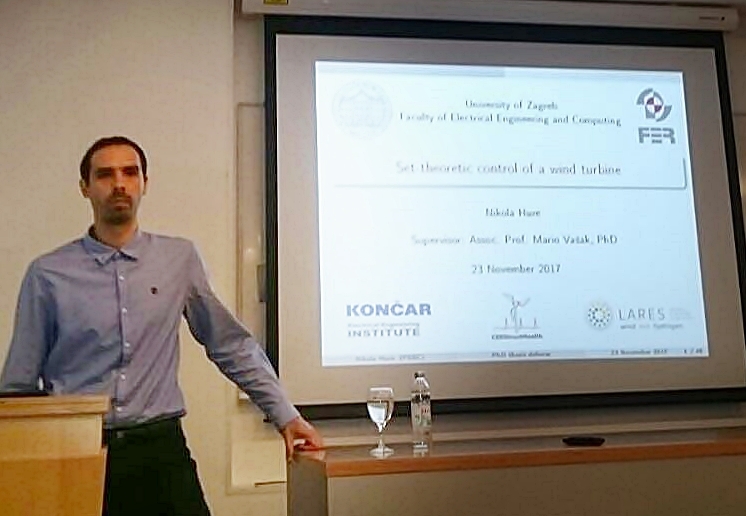 On 23rd of November 2017 a successful public defence of the PhD thesis entitled "Set-theoretic control of a wind turbine" was held by the LARES group member, Nikola Hure. The defence was attended by the faculty colleagues, researchers and professors, whereas the thesis defence committee was composed of prof. Nedjeljko Perić, prof. Mato Baotić (Faculty of Electrical Engineering and Computing) and prof. Zdenko Tonković (Faculty of Mechanical Engineering and Naval Architecture) from the University of Zagreb. Dissertation will soon be available online. Head of our laboratory, prof. Mario Vašak will hold a lecture titled "Control-based Hierarchical Consolidation of Large Consumers for Integration in Smart Grids" on November 13th, 2017 at the Croatian Academy of Sciences and Arts. During the lecture, methodology, results and future research plans of our currently ongoing 3CON project, will be presented. Fellow researchers and others interested are invited to attend the lecture. Invitation and lecture outline (in Croatian) can be found here. 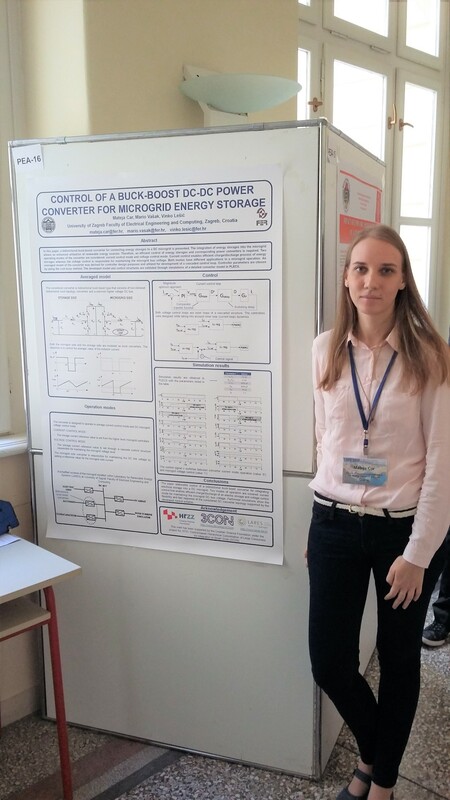 In June 2017 article Kujundžić, Vašak: Closed-loop predictive control for adherence to the commanded energy exchange with a VRLA battery was presented at the 10th International Conference on Lead-Acid Batteries in Golden Sands, Bulgaria. 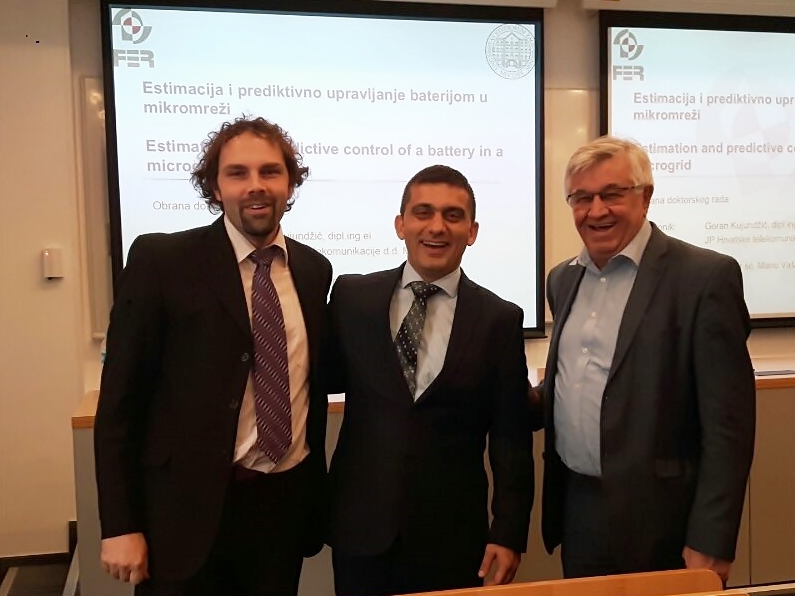 Goran Kujundžić successfully defended his PhD thesis "Estimation and predictive control of a battery in a microgrid" on 27 October 2017. Recently, Goran published an article entitled "Optimal charging of valve-regulated lead-acid batteries based on model predictive control" in a prestigious scientific journal Applied Energy. The preprint of the article can be downloaded from here or you can look at it on the journal web. SST 2017 – the International Conference on Smart Systems and Technologies took place in Osijek, Croatia from 18th – 20th October 2017. Within the conference session Smart Power Systems, LARES research team presented a paper titled: Upgrade of a typical office building automation system for enabling open energy management services – M. Vašak, A. Starčić, V. Lešić and A. Martinčević. The session was also co-chaired by LARES head Mario Vašak. Full paper can be found under the People tab, authors' publications. 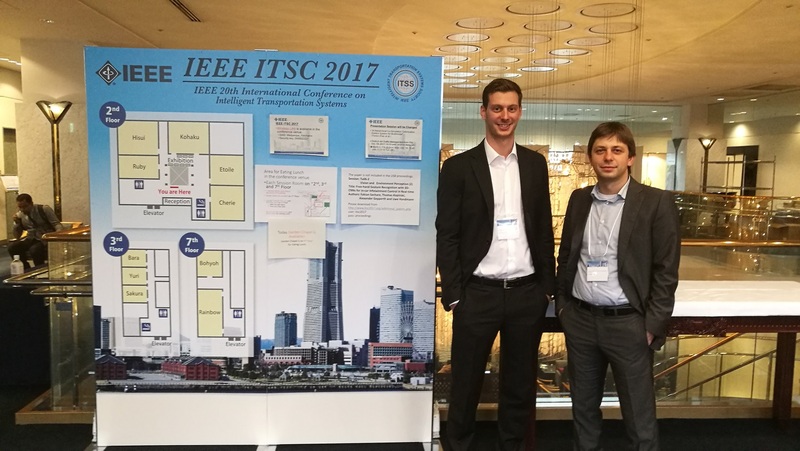 ITSC 2017– the IEEE 20th International Conference on Intelligent Transportation Systems took place in Yokohama, Japan from 16th - 19th October 2017. Within the conference session Traffic management, LARES research team presented a paper titled: Hierarchical Coordination of Trains and Traction Substation Storages for Energy Cost Optimization - H. Novak, M. Vašak, and V. Lešić. The Traffic management session was also chaired by LARES member Vinko Lešić. Full paper can be found under the People tab, authors' publications. Papers can be found under the People tab, authors' publication. Our Fault-tolerant control technology and collaboration with United Technologies Research Center (UTRC) published in one of the main Croatian daily newspapers, Jutarnji list. The article is about the methodology initially developed for wind turbine generators, now applied to aerospace industry. Here you can check the article in Croatian. - On Operating Envelope Protection Design for Nonlinear Discrete-Time Systems, N. Hure, M. Vašak. Papers can be found under the People tab, authors’ publication. LARES researcher Branimir Novoselnik will be visiting the Systems Control and Optimization Laboratory (Lehrstuhl Systemtheorie, Regelungstechnik und Optimierung) led by Prof. Dr. Moritz Diehl at the Department of Microsystems Engineering (IMTEK) of the University of Freiburg, Germany, for three months, between October 1st and December 31st, 2017. Aim of this stay is to conduct research in the area of algorithms for numerical optimal control and embedded optimization with application to renewable energy systems, and to contribute to the development of open-source software for embedded nonlinear optimal control. Robust Microgrid Control Using Tube Scaling Approach - N. Branimir, J. Matuško, M. Baotić. The paper can be found under the People tab, authors’ publication. The 26th IEEE International Symposium on Industrial Electronics took place on 19th-21st June 2017 in Edinburgh, Scotland. Our LARES research team presented a paper titled: Comfort Control in Buildings with Adherence to the Required Thermal Energy Input in Zones – A. Martinčević, F. Rukavina, V. Lešić, M. Vašak. The paper can be found under the People tab, authors’ publication. 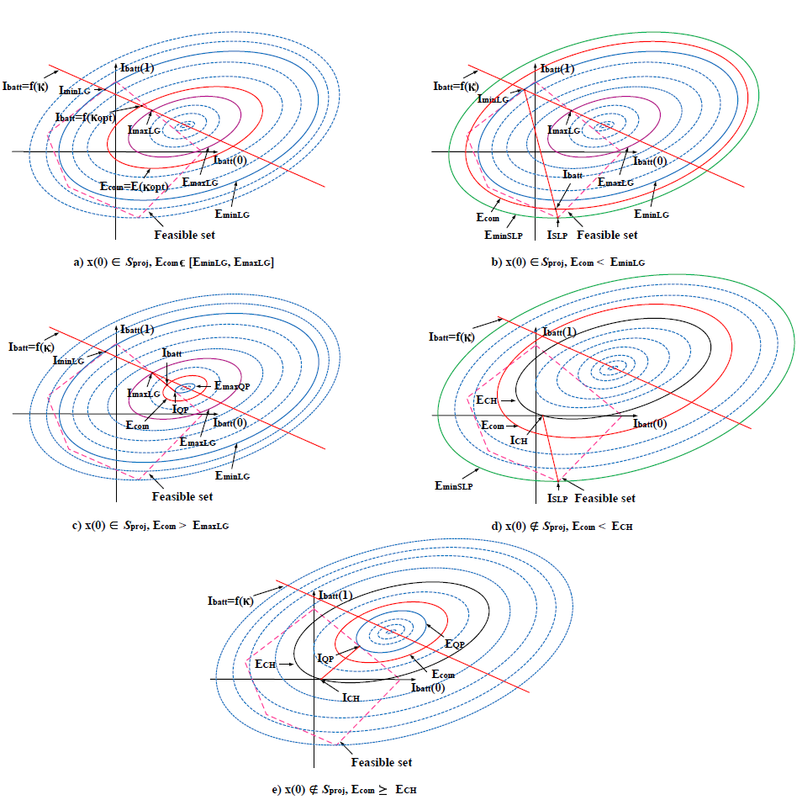 Clustering-based Identification of MIMO Piecewise Affine Systems - N. Hure and M. Vašak. The papers can be found under the People tab, authors’ publication. LARES laboratory presented its activities on TEDx event held in Zagreb under the motto BUILD.FUTURE.NOW. The main activities of the laboratory within the area of smart building, smart grid and smart cities were presented to the public, with the focus put on currently ongoing 3Smart and 3CON projects and results of the ENHEMS-Buildings project finished in 2015. Our LARES team published an article "Modular energy cost optimization for buildings with integrated microgrid" in Applied Energy, a prestigious scientific journal focussed on energy topics. It introduces and elaborates the modular energy management in buildings developed in 3CON and further pursued in 3Smart project, and presents its performance analysis through a case study performed on a part of the skyscraper building of the Faculty which is one of the 3Smart pilot buildings in Zagreb. You can download the article preprint here or take a look at it on the journal web. On Friday, March 3, 2017, LARES was visited by a delagation from Japaneese Informatics Society, consisted of several professors from different universities and technical institutes who were given a presentation about implementation of different mathematical and optimization algorithms to embedded controllers in renewable energy sources domain. We thank our honorable guests for their visit. Few photos can be found in detailed news content. On 16th January 2017 a public presentation of the 3Smart project was held in Zagreb on the premises of University of Zagreb Faculty of Electrical Engineering and Computing who is the lead partner on the project. The event attracted a significant number of participants from different sectors representing government, industry and academia. The project 3Smart is funded by the European Union through the Interreg Danube Transnational Programme. A new project in LARES ''Smart Building - Smart Grid - Smart City" (3Smart) started on the 1st of January 2017. The main goal of the project is to provide a technological and legislative setup for cross-spanning energy management of buildings, energy grids and major city infrastructures in the Danube region. This includes the development of a modular platform for coordinated building and distribution grid energy management. The developed platform will be installed on 5 pilot locations in 5 countries (Croatia, Slovenia, Austria, Hungary and Bosnia and Herzegovina) and comprehensive cost-benefit analysis will be performed to verify the platform’s performance. Our faculty is the Lead Partner on the project and in its execution participate Laboratory for Renewable Energy Systems (focussed on the buildings side) and Smart Grid Laboratory (focussed on the grid side). The project partners are: Hrvatska elektroprivreda d.d., E3 ENERGETIKA, EKOLOGIJA, EKONOMIJA d.o.o., Municipality Idrija, Elektro Primorska d.d., European Centre for Renewable Energy Güssing Ltd., Municipality of Strem, Energy Güssing Ltd., University of Debrecen, E.ON Tiszántúli Áramhálózati Zrt., University of Belgrade Faculty of Mechanical Engineering, JP Elektroprivreda Hrvatske Zajednice Herceg Bosne, University of Mostar Faculty of Mechanical Engineering and Computing. Associated strategic partners participating in the project are: Croatian Energy Regulatory Agency, Jožef Stefan Institute, Goriška Local Energy Agency, Regulatory Commission for Energy in Federation of Bosnia and Herzegovina, and Hungarian Energy and Public Utility Regulatory Authority. The project is funded by the European Union through the Interreg Danube Transnational Programme. IEEE PEMC 2016 – 17th International Conference on Power Electronics and Motion Control, took place on 25th - 30th September 2016 in Varna, Bulgaria. Our LARES research team presented a paper titled: Comparison of Battery Management Approaches for Energy Flow Optimization in Microgrids - M. Vašak and G. Kujundžić. Paper can be found under the People tab, authors' publications. IECON2016 – the 42nd Annual Conference of IEEE Industrial Electronics Society, took place on 24th - 27th October 2016 in Florence, Italy. Our LARES research team presented a paper titled: Predictive control for heating power variance and peak reduction in buildings - A. Starčić , V. Lešić and M. Vašak. Paper can be found under the People tab, authors' publications. ISGT 2016 Europe – IEEE PES Innovative Smart Grid Technologies, Europe, took place on 9th - 12th October 2016 in Ljubljana, Slovenia. Our LARES research team presented a paper titled: Multi-level Optimal Control of a Microgrid-supplied Cooling System in a Building - M. Gulin, A. Martinčević, V. Lešić and M. Vašak. Paper can be found under the People tab, authors' publications. The final project Industrial Advisory Board and plenary meeting took place in Ludwigshafen, Germany, on the 13th and 14th September 2016, at the premises of industrial partner BASF. The objective of the meeting was to present the final results of the project to the Industrial Advisory Board. The feedback from the industrial experts was very positive and even enthusiastic about the achievements and results developed within the project, which is an excellent sign before the final meeting with the reviewers and evaluators of the project. 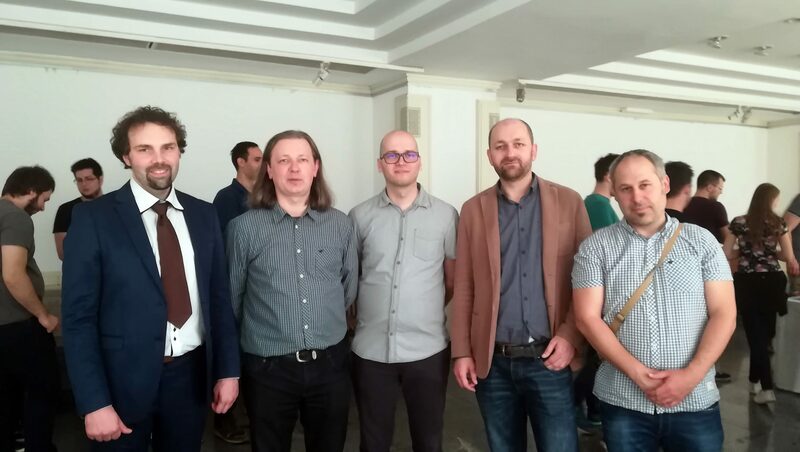 LARES members M. Baotić and B. Novoselnik attended the meeting and presented the work done within the DYMASOS project at the University of Zagreb, Faculty of Electrical Engineering and Computing. ICIRT 2016– the 2016 IEEE International Conference on Intelligent Rail Transportation took place at the University of Birmingham from 23-25th August 2016. Within the conference session Power and Traction, LARES research team presented a paper titled: Hierarchical Energy Management of Multi-Train Railway Transport System With Energy Storages - H. Novak, M. Vašak, and V. Lešić. Full paper can be found under the People tab, authors' publications. With the help of Croatian Meteorological and Hydrological Service (DHMZ) LARES has recently finished periodic calibration of all its solar irradiance measurement equipment, including also the rather demanding calibration of direct solar irradiance measurement unit -- CHP1 pyrheliometer. More info on this can be found here and in the detailed news content. 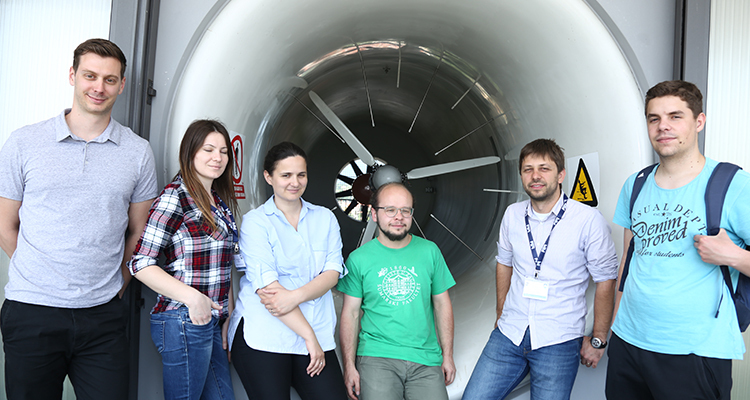 Project POC-DAWN – Proof of Concept for Damping Generator Vibrations and Large Wind Turbine Noise by Advanced Power Converter Control (coordinator Vinko Lešić) has been granted by HAMAG-BICRO. With duration 1.6.2016. – 30.5.2017. and budget of 400.000,00 kn, the project aims at prototyping the advanced power converter control approach for generator vibrations and noise reduction in wind turbines. More information about the project scope can be found under the Projects tab. MED 2016 – the 24th Mediterranean Conference on Control and Automation took place on 21st - 24th June 2016 in Athens, Greece. Our LARES research team presented a paper titled: Model Predictive Control for Energy-saving and Comfortable Temperature Control in Buildings​ - A. Martinčević, M. Vašak and V. Lešić. Paper can be found under the People tab, authors' publications. On Monday, April 11, 2016, as part of series of workshops within the research project "JOBSTEM - professional aspirations towards STEM professions during elementary school education", elementary school students visited LARES together with their teachers and had a chance to see the our research involvement in the area of renewable energy systems. The project JOBSTEM is financed by Croatian science foundation.